Dental health concerns can affect the appearance, function, and longevity of your smile. Whether you are unsatisfied with the color of your teeth, are experiencing tooth decay, or have missing teeth, Dr. Nadder Hassan and our dental care team provide comprehensive dental services that address a full spectrum of dental concerns. 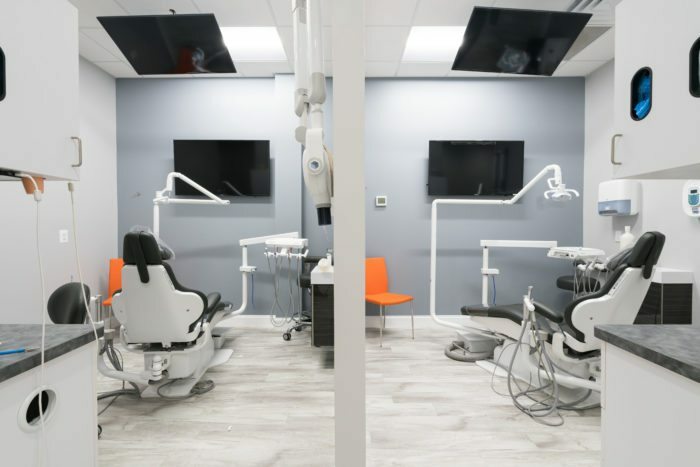 Manassas Smiles tailors dentistry to the dental health and cosmetic goals of our patients, providing personalized, compassionate, modern dentistry focused on maintaining and improving beautiful smiles. Manassas Smiles is a Northern VA family dentist office that welcomes patients of all ages. Our dental care team is experienced in diagnosing and treating the various dental health concerns that affect patients at different stages of oral development. We encourage patients and families to visit the dentist at least once every six months for routine dental health exams which are the best defense against complex oral health concerns. Visiting the dentist every six months allows Dr. Hassan to monitor developing issues and provide conservative treatment options before bigger problems arise. Dental health concerns range in severity, but should always be monitored by your dentist so that they do not cause further or permanent damage to your teeth and gums. Staying proactive in your dental health can help you enjoy your natural smile for many years. Bleeding Gums– Bleeding gums are an indication of gum disease. Gum disease is a bacterial infection that should be treated as soon as possible to avoid further oral and systemic health complications. Dr. Hassan offers periodontal therapy for the treatment of gum disease. Crooked Teeth– Crooked teeth are a cosmetic and oral health concern. Crooked teeth can make brushing and flossing difficult and may lead to an increased risk of tooth decay, excessively worn teeth, or TMJ complications. Manassas Smiles offers Invisalign® and other cosmetic treatments for straightening crooked teeth. Discolored Teeth– Yellow, stained or discolored teeth are unattractive. Professional teeth whitening treatments offer quick, effective results for whiter brighter teeth. Fear of the Dentist– Many patients avoid visiting the dentist due to dental anxiety. Dr. Hassan offers sedation dentistry options to help patients feel relaxed and comfortable during their dental procedures. Headaches– Chronic headaches can often be a symptom of a dental health concern and go misdiagnosed. Headaches, especially occurring in the morning, may be a symptom of teeth grinding or a complication of TMJ. Dr. Hassan provides treatment options for TMJ and bruxism at our Manassas, VA dentist office. Missing Teeth– Missing teeth can affect your health and can lead to bone deterioration and facial sagging. Dr. Hassan offers full-service dental implant treatment options in-house. He also offers dentures, dental bridges, and implant secured dentures. Sleep Apnea- Do you snore loudly or wake up frequently gasping for air? You may have sleep apnea. Sleep apnea is a complex health condition that is best treated as soon as possible. Dr. Hassan offers oral sleep appliance therapy to prevent further damage to your oral and systemic health caused by sleep apnea. Teeth Grinding– Many patients grind their teeth while they sleep. Teeth grinding, or bruxism can cause excessive tooth wear, chipped or cracked teeth, and can damage the health of the jaw joint and muscles. An oral sleep appliance can be worn at night can help prevent further damage to the teeth, gums, and jaw. Tooth Cavities– Tooth decay is the most common oral health concern and affects patients of all ages. Tooth decay is caused by a lack of oral hygiene and the build-up of plaque and tartar. Regular dental exams at our Manassas, VA dentist office can help prevent tooth decay. We offer conservative treatment options for varying stages of tooth decay. Manassas Smiles is a family-focused dentist office that provides personalized dental health care customized to restore your oral health. We offer comprehensive oral health exams that analyze all aspects of your oral health so that we may provide the most precise and conservative treatment options available. We accept new patients of all ages from Manassas, Merryfield, Centreville, Clifton, Gainsville, Dale City, Warrenton and surrounding communities. To learn more about how personalized dentistry can positively impact your life, contact our Manassas, VA dentist office or request an appointment online.